If I had to sum up Melanie and Joe with one word it would be FUN. Seriously, these two are a blast to be around. Melanie is one of the most cheerful people I have ever met; her smile could light up a room, or in our case, an entire park! Whenever Joe sees that gorgeous smile of hers you can see his heart melt! 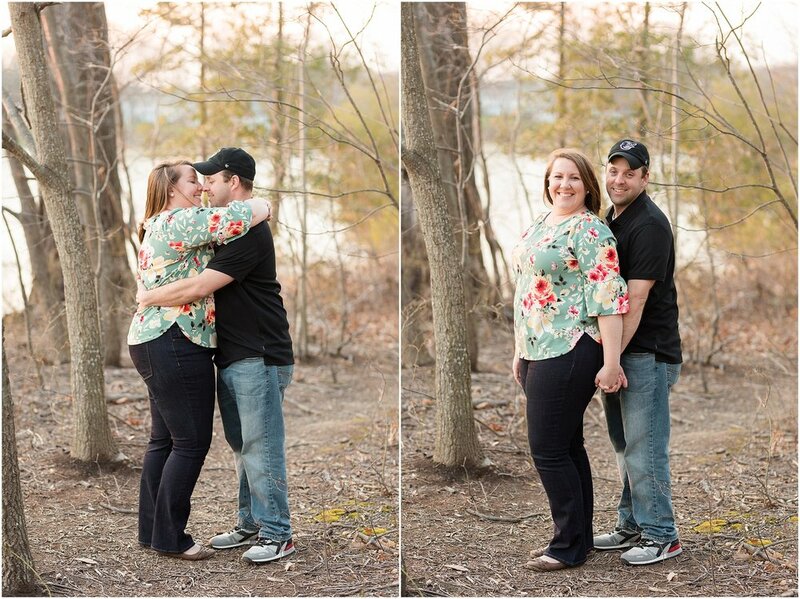 These two compliment each other beyond belief and I am so happy to be able to capture their relationship! 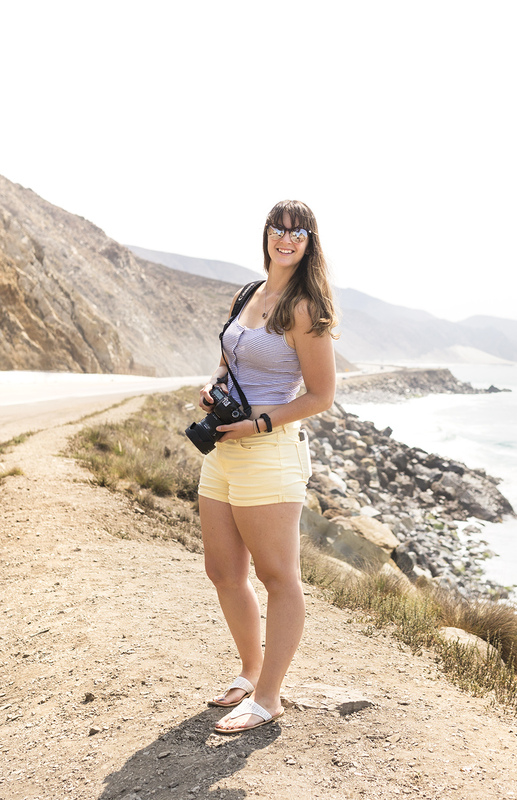 If you follow along my blog or Facebook posts you would know that this is the fourth time I have had the opportunity to work with Melanie & Joe! 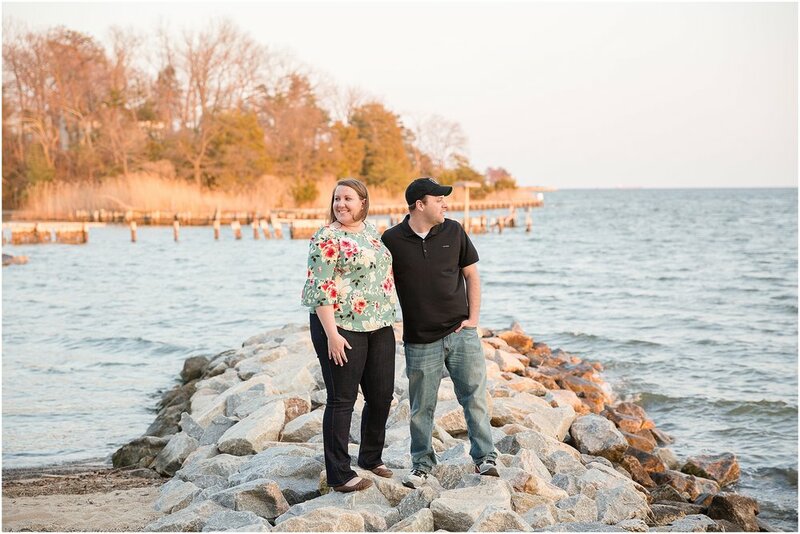 Melanie and Joe chose to have their session at Quite Waters Park in Annapolis, Maryland. 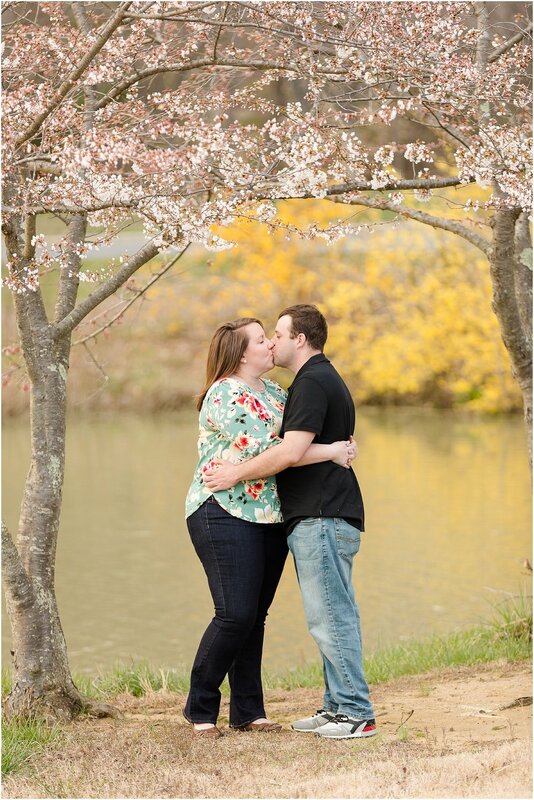 We scheduled their session in the Spring in hopes of warm weather and fresh flowers. What did we get? Well, I wouldn't call it Spring, but I wouldn't call it winter, haha. 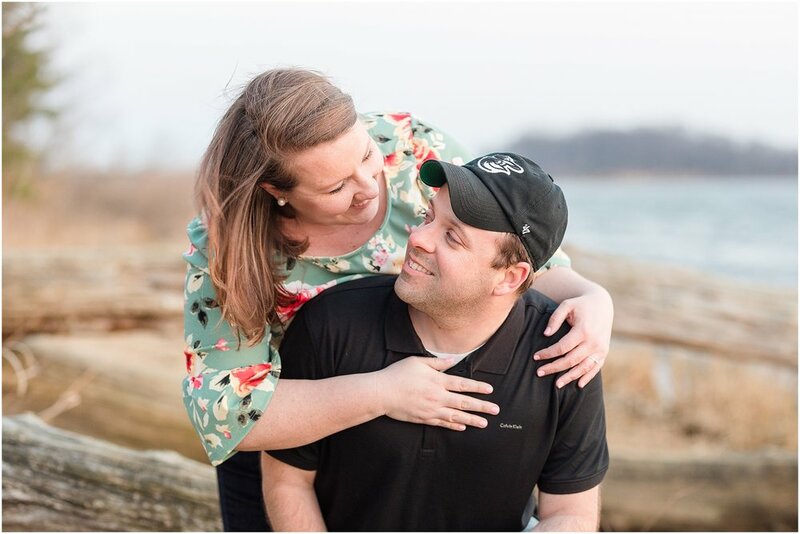 Even though it was cold and windy we still had a great time capturing their engagement photos! We explored a few different areas of the parked and ended our session at sunset right next to the water. Melanie and Joe will be having a beautiful winter wedding this January. I cannot wait to be a part of another increible time in their life!